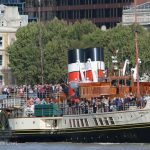 POPULAR paddle steamer Waverley has arrived on the river for the start of her 2017 Thames season. 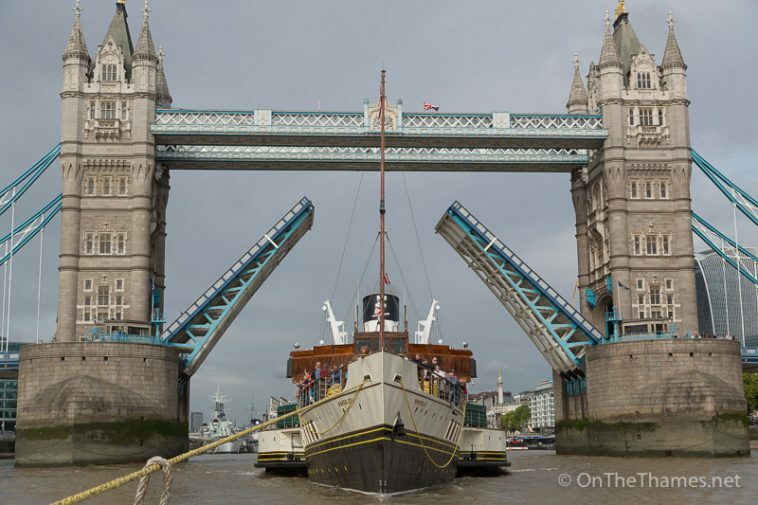 This year's programme of excursions, which coincides with the 70th anniversary year of her maiden voyage, is already sold out on many days. 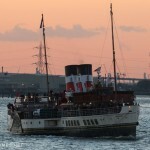 On sunny Friday afternoon, she steamed up the Thames, stopping at Southend, Gravesend and then making her way up to Tower Pier for the night. 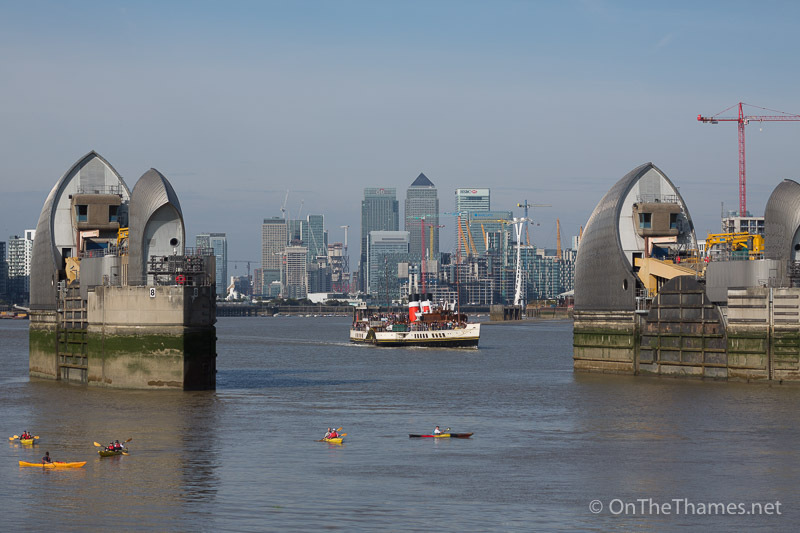 On Saturday morning, her Thames season began in earnest with her first full day on the river as she was expertly assisted out of the Pool by Greenwich-based Thamescraft's tug Devout. 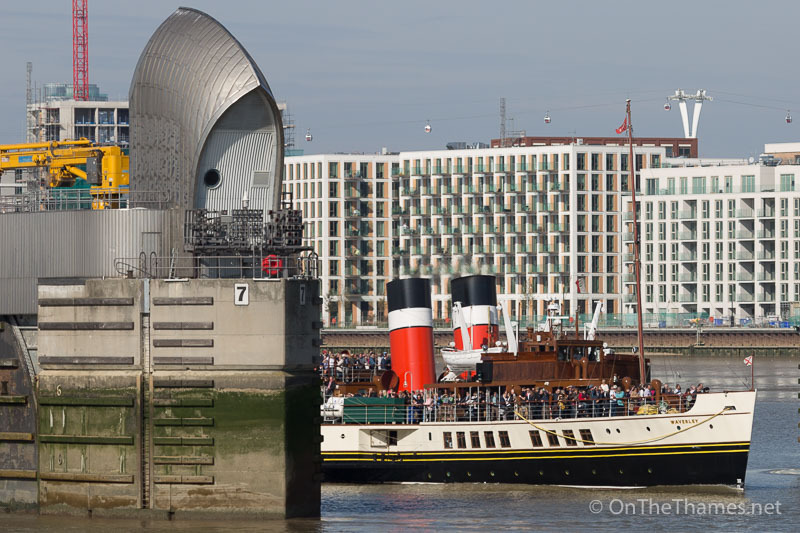 The ship's iconic paddle wheels and twin red funnels will be a common sight up and down the river until October 8th. 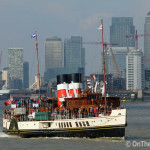 Waverley departs Tower Pier with the Tower of London looming behind. 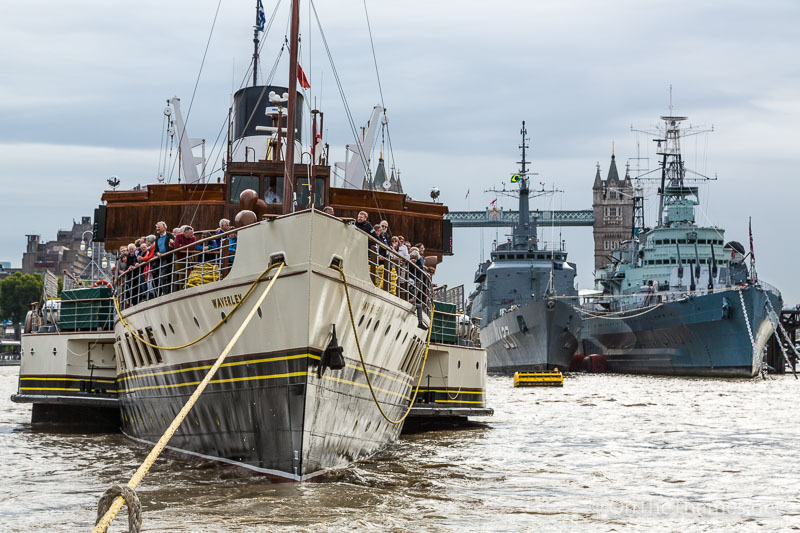 It was a busy scene with the Brazilian training ship Brasil alongside HMS Belfast. 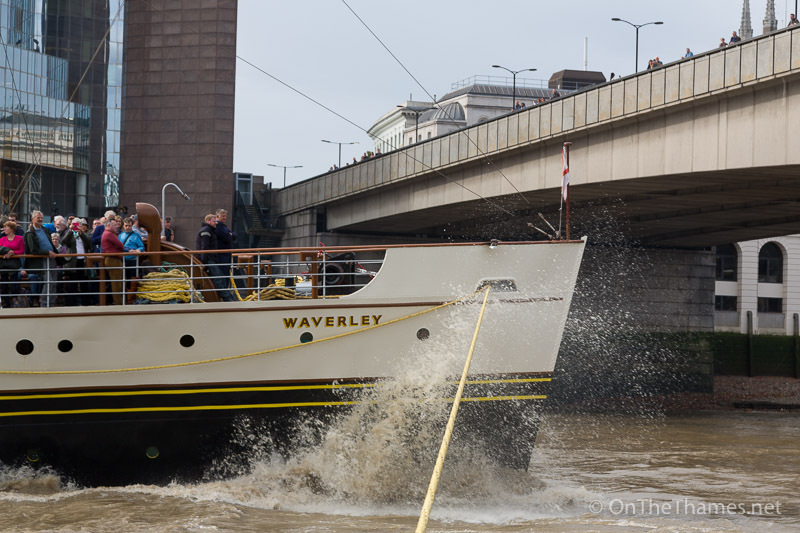 Waverley was expertly towed up river to London Bridge before being swung round. 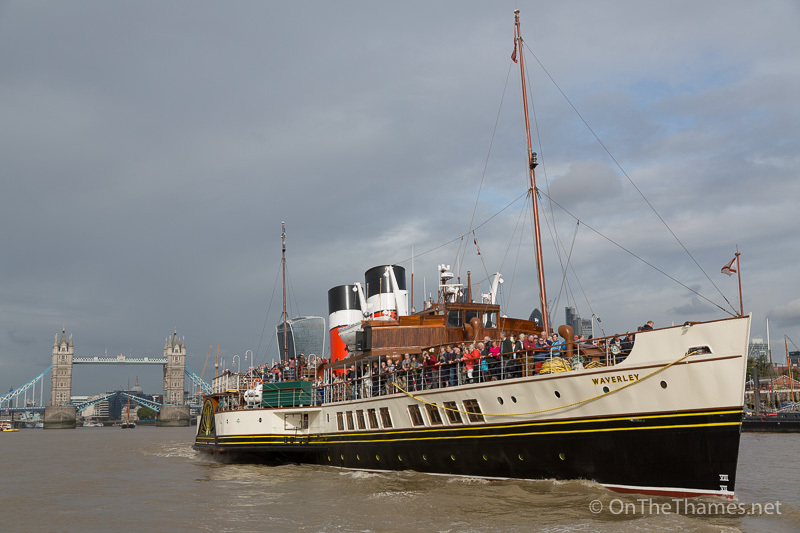 Waverley turns around in front of London Bridge to face Tower Bridge. 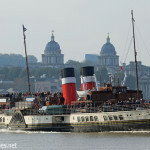 A blast of the steam whistle as Waverley heads under the bridge. Two icons: PS Waverley and majestic Tower Bridge. 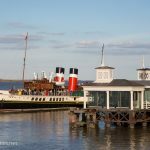 The tow line slackens as Waverley prepares to carry on down river at speed. 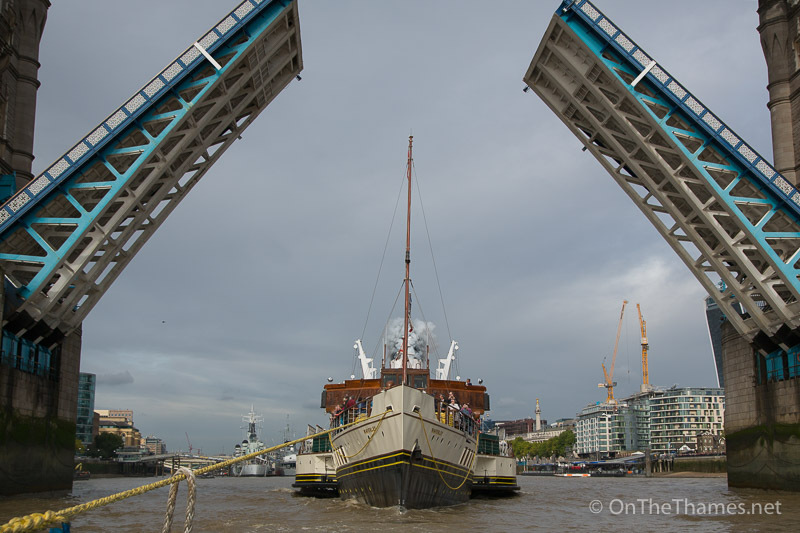 Sailing Barge Hydrogen also passes under Tower Bridge on the same lift. 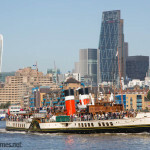 By Sunday the weather had improved and passengers enjoyed a sunny cruise down the river. 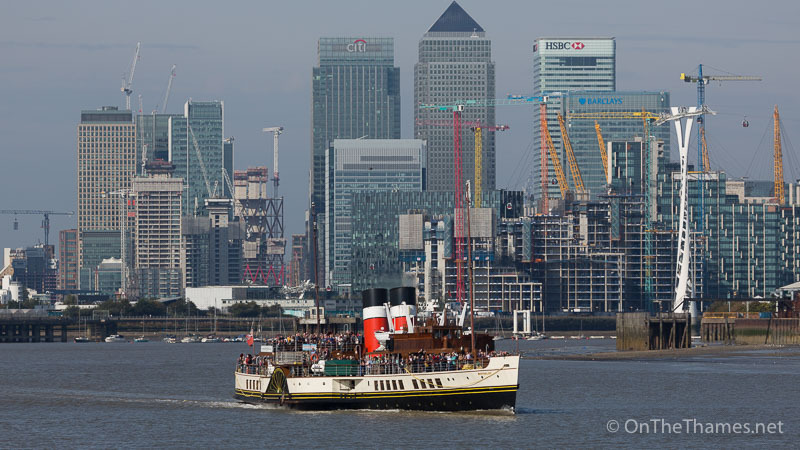 Waverley approaches the Thames Barrier with the landmark buildings of Canary Wharf behind. 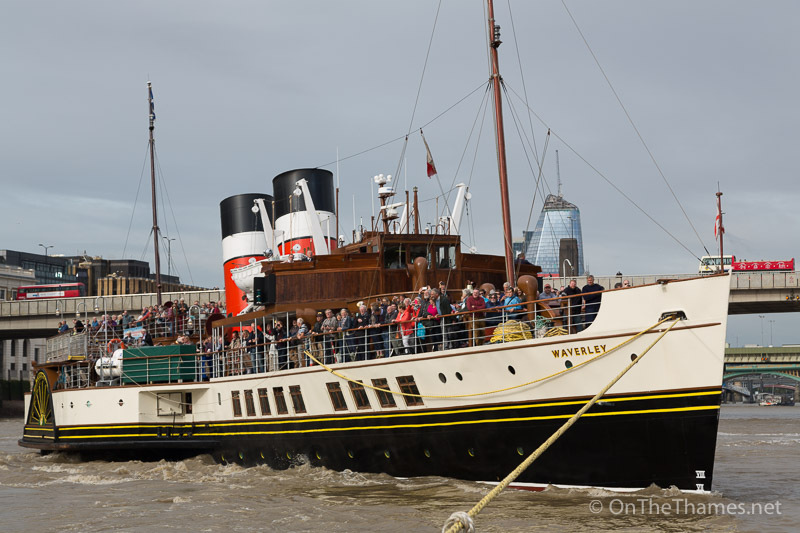 Kayakers get a superb view of Waverley as she nears the barrier. 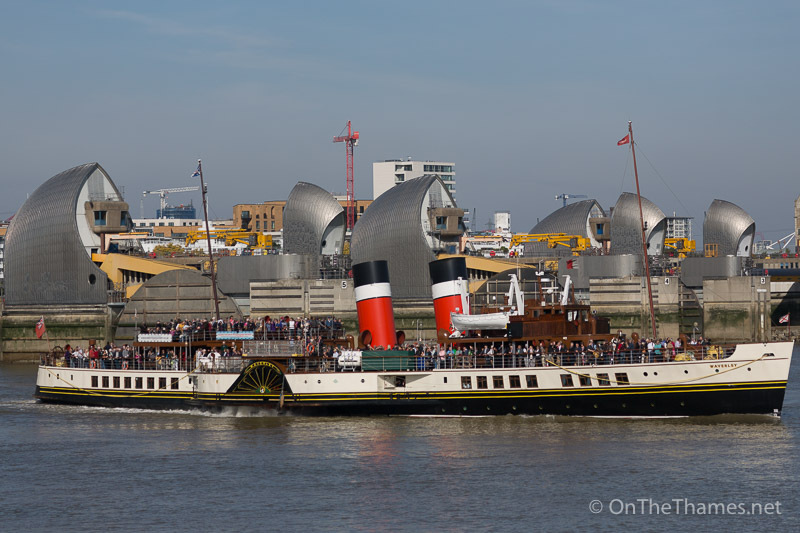 Waverley at the Thames Barrier. 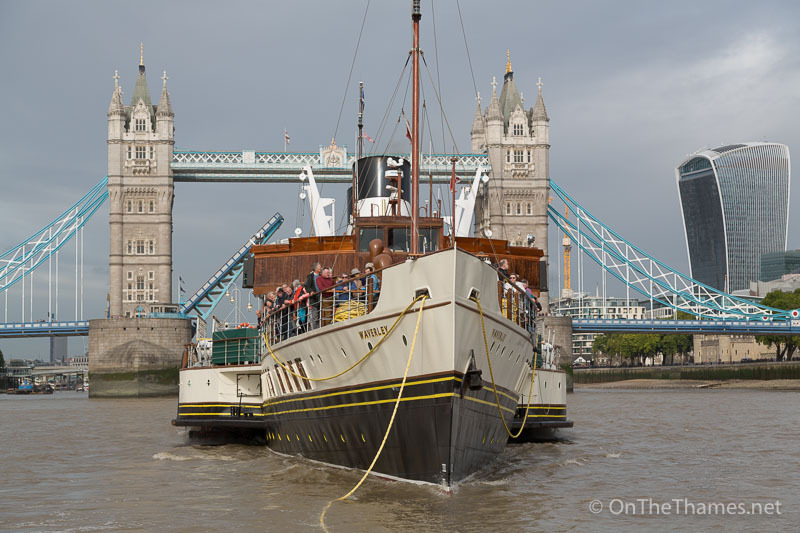 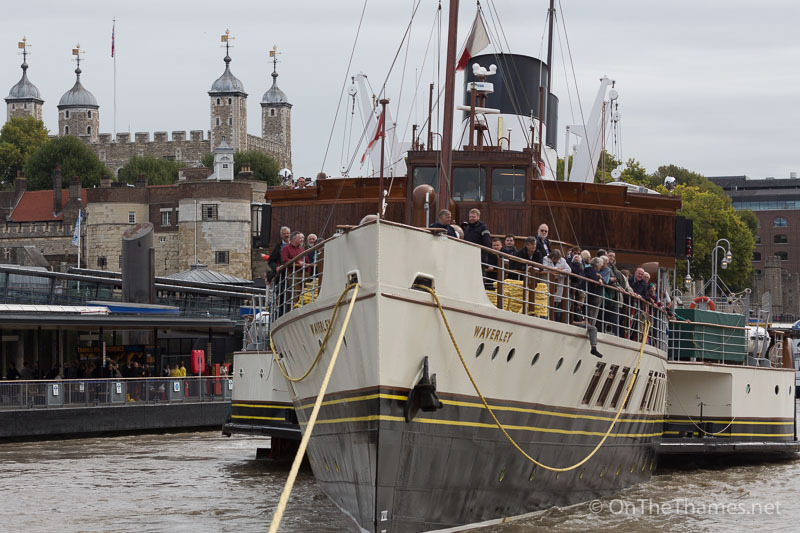 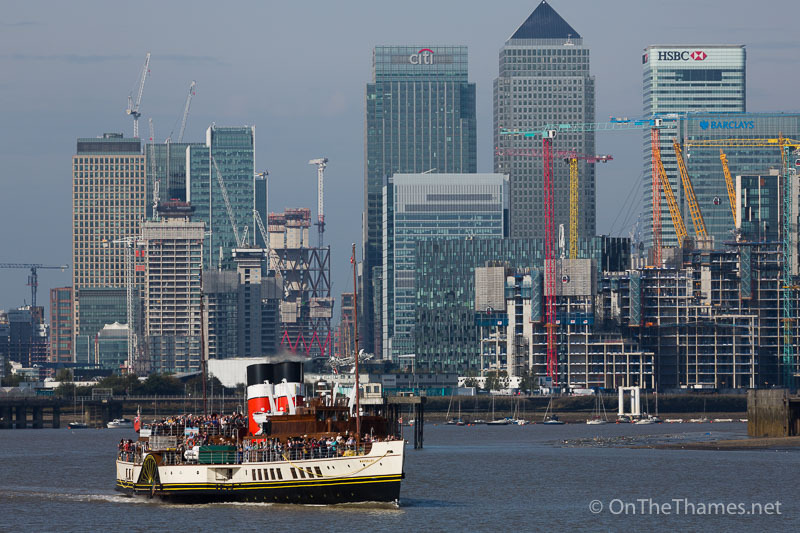 There were around 700 passengers on board enjoying the experience of steaming along the Thames.